remains open for drinks so long as guests are here. 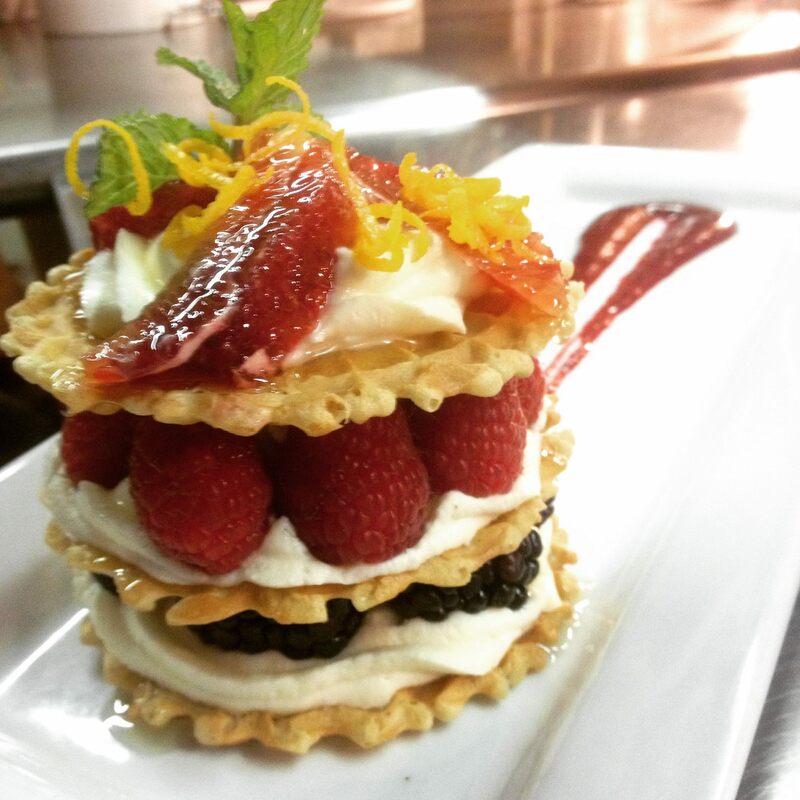 twice named "BEST RESTAURANT WORTH THE DRIVE"
"One of Central New York's architectural and historic treasures"
As we celebrate our 25 year anniversary, Chef/Owner Randall Brown continues to serve the best tasting, creative fare in central New York. Our menu changes seasonally and features wood grilled meats & game, the freshest seafood & creative vegetarian dishes drawing from regional American, Mediterranean, Island, and Asian influences using the best seasonal & local ingredients. 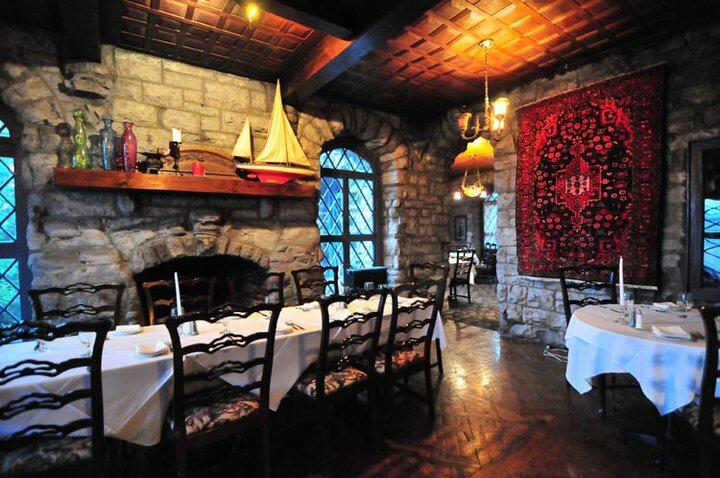 All in an unequaled setting in five intimate dining rooms with 3 foot thick limestone walls, and oak paneled ceilings and floors and a cozy main hall 6 foot wide wood burning fireplace. We offer a 300 bottle wine list of the finest American Boutique wineries including the largest selection of New York State wines in Central NY. Celebrating our 7th year as a Wine Spectator Award winner. 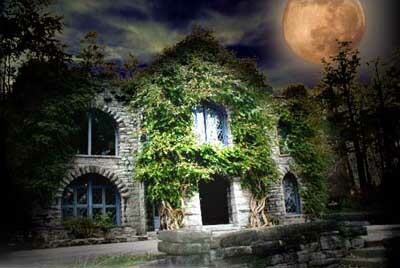 With 158 years of history and legendary tales of ghosts and spirits that only accentuate the natural energy of the property, Beardslee Castle is a perfect setting for any event. 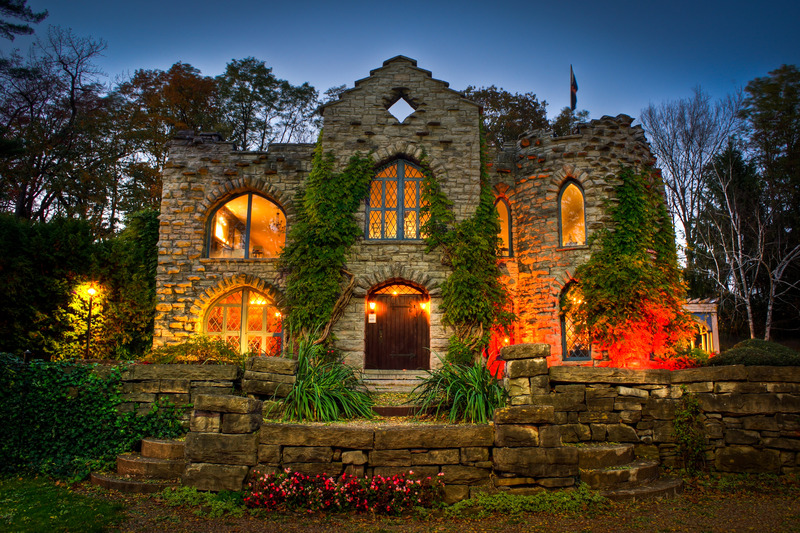 Built by Augustus Beardslee in 1860 with the craftmanship of masons from Ireland and Switzerland, the limestone building is built in the style of an Irish castle. The building has suffered two major fires, the first in 1919 nearly destroyed the building and much of the stonework needed to be reworked. 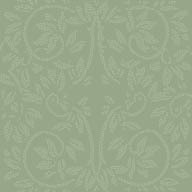 The oak panelled floors and ceilings were completely redone as nothing was left but the stone shell. A fire in 1989 gutted the kitchen areas and the building was left vacant for 3 years. After a two year restoration the restaurant reopend in 1994 under the present ownership. 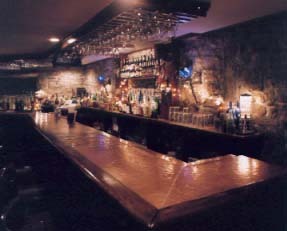 Downstairs at the Castle, THE DUNGEON is a cozy Bar & Grill featuring a casual menu during dinner hours. After hours it's a great place for a drink, a game of pool or relaxing at the 20 ft long copper-top bar. The 'wine room', a gated 'cell', with hand painted vine mural ceiling, is a great spot for an intimate dinner. There's no better setting for a fairy tale wedding. 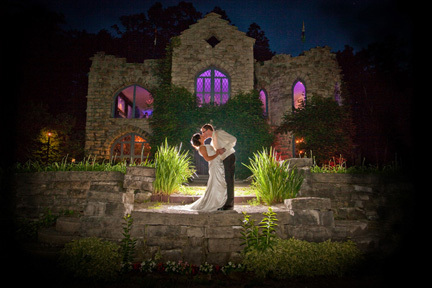 A 158 year old restored Irish-styled stone castle, 8 acres of beautiful grounds, a spacious, airy banquet room with 20 arching floor to ceiling plate glass windows. 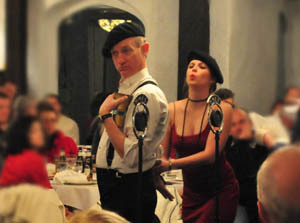 A wide variety of menus are offered and the service is superb. Personalized planning with our wedding coordinators Lynn Brown (owner) and Jennifer Leskovar (24 years at the Castle) assure an event that will be wonderful and memorable. Welcome to Hadleyville, the most lawless place in the whole Territory of New Mexico. What makes this place so bad? Why, that would be you, pardner, and all the other low-down snakes that live here. Problem is that Statehood is coming and the Federales are looking to pull this place right out from under you. The undertaker, Ewell Dye, has called a town meeting at the Ramirez Saloon to figure out what to do. Watch your back, buckaroo. Folks are about to get even nastier. 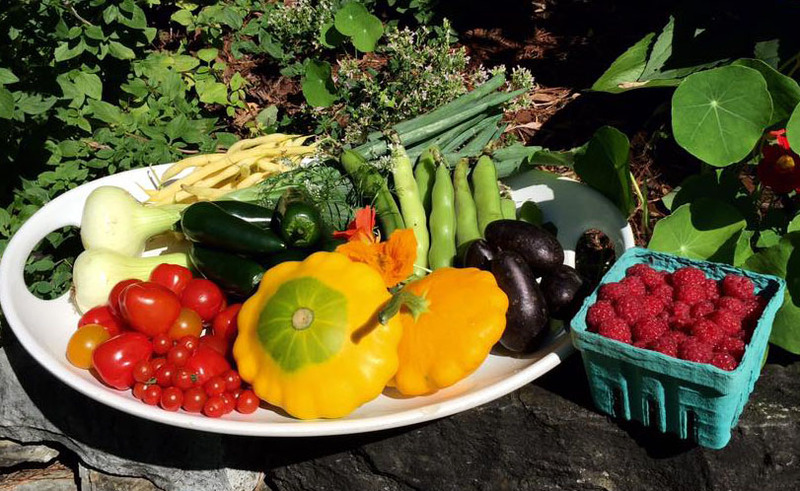 We source organic greens & vegetables from Bull Moose Farm, Jones Family Farm, Three Villages Cheese, Stubborn Girl Farm, Maw's Farm in Newport, Reese's Farm in Ilion, Bouchard Farms in Little Falls, East Creek Organics and many others. Meats and Cheeses from Jones Family Farm, Bach Farms, Creek's Edge Elk Farm. Other organics, and grains are from the the Community Co-Op in Little Falls. We grow our own chives, thyme, lemon thyme, sorrel, kale, marjoram, oregano, tarragon, lavendar, basil and mint along with 6 tomato varieties, potatoes, peppers and zucchini. Summer grounds and gardens are beautiful at Beardslee Castle. We couldn't do it without the equipment and service from our neighbors up the road, Charles Stahl Sales & Service. Buy your next piece of lawn & garden equipment from Charlie and you won't regret it ! Their service is second to none and the quality is tops! Tell them the Castle sent you !